I'd say it's about time someone said it: Rich Koz is a ham. But as a ham fan, I'd say that it's because of his hamminess that he's become such a Midwestern icon. To the rest of the world who don't already know him...let me introduce you to Rich Koz's alter ego, and my first hero (not including my older brother)...Svengoolie! 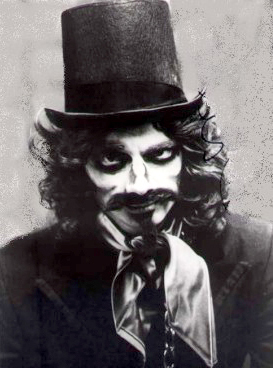 To the uninitiated, Svengoolie is a horror host from Chicago, IL. What's a horror host? Quite simply, it's a character who introduces old movies (typically science-fiction, horror, and B-movies). Some of the more famous horror hosts are Elvira: Mistress of the Dark, Vincent Price, Joel Hodgson (of Mystery Science Theater 3000), Vampira (who was arguably the first horror host), and many, many more. Often, they produce segments before and after a commercial break. What most people don't realize, however, is how much work they put into those segments. Rich Koz, for example, does the majority of his own writing. His segments include trivia tidbits, song parodies, jokes, and one of his best bits - a question to the audience that is then answered by the next line of dialogue within the movie. He's also known for getting rubber chickens thrown at him after telling a bad joke. 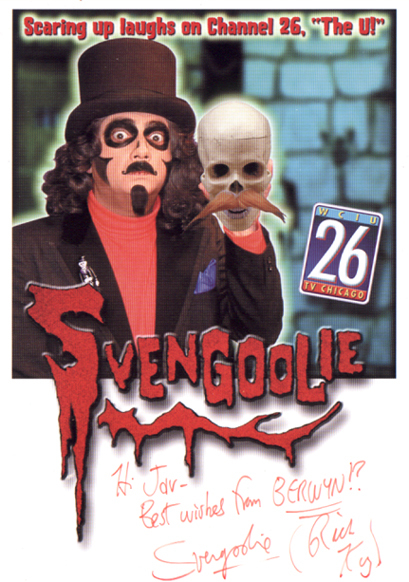 Currently "Svengoolie" is featured on ME-TV but the show's history dates back to the 1970s, with a long, winding road. 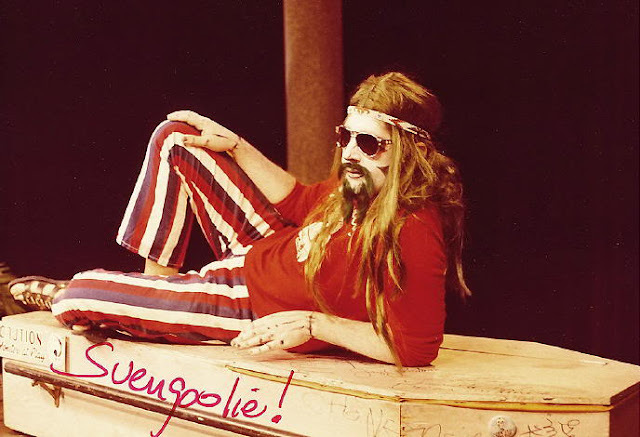 But before we can talk more about Rich Koz's Svengoolie, we have to address Jerry G. Bishop - the original Svengoolie. In the fall of 1970, Bishop aired the first episode of "Screaming Yellow Theater", the show's original title, on Channel 32 (WFLD). 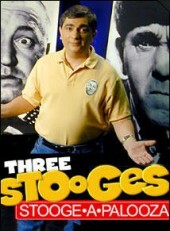 In the later seasons, Rich Koz, who was a college student at the time, sent in sketch ideas for the show. Eventually, Bishop hired him to work as a writer. "Screaming Yellow Theater" ran until 1973 and was replaced by another horror host show after Field Communications (who owned Channel 32 WFLD) was bought out by Kaiser Broadcasting. In 1978, Field Communications bought back WFLD, and it was at this time that Bishop and Koz discussed bringing back "Screaming Yellow Theater". But this time, Rich Koz would take on hosting duties, in a new persona named "Son of Svengoolie". The show's title was also changed to match the titular character. "Son of Svengoolie" ran from June 1979 until January 1986. 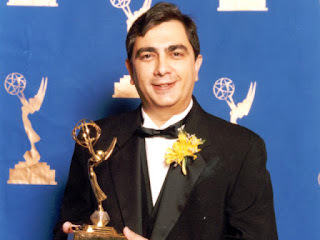 During that time, the show had won three Chicago Emmy awards. It was during this part of Sven's history that I began to watch. If memory serves me correctly, the show ran on Saturday afternoons. Part of me thinks that it also ran on late night TV, but because of my age, I only knew about the afternoon version. To me, it didn't matter. My weekend started out around 5 a.m. to watch my Saturday morning cartoons, and peaked with the airing of "Son of Svengoolie". But one Saturday afternoon, I couldn't find the show. I thought maybe I was on the wrong channel. It turns out that in 1986, Rupert Murdoch's Fox Television Stations Group bought WFLD to become a part of the newly-created FOX network. The new management canceled the show. This was a time before the Internet, so news about such things was not readily available. Can you picture a very confused boy searching for Sven every Saturday afternoon? Even worse, can you picture hundreds, maybe thousands of other kids doing the same thing? We may have been lost, but fortunately, Rich Koz endured. As well as working in freelance radio, including Chicago Station WGN radio, he also worked for FOX in different capacities. He became weekend and fill-in weather anchor for FOX 32 News, and later hosted "Stooge-a-Palooza," a program that reran "The Three Stooges" episodes. Later, FOX aired a Son of Svengoolie-like program entitled "The Koz Zone," hosted by none other than Rich Koz. Most of the show's skits were similar to the previous incarnation, however, Koz did not wear a getup or makeup. Instead, the show appeared as if Koz had been breaking into the airwaves and presenting his show illegally, a bit ironic considering the fact that FOX had canceled his "Son of Svengoolie" series. As a fan of "The Koz Zone", I tuned in every Saturday night to watch old black-and-white movies. His dorky humor tailored to my adolescent mind. It was like having one of my friends over; he just happened to be a tad older. As a die hard fan, I was shocked at the end of one episode in which Svengoolie appeared out of nowhere. He ran up to the FOX building and began banging on the door, arguing that Koz was ripping off his show. 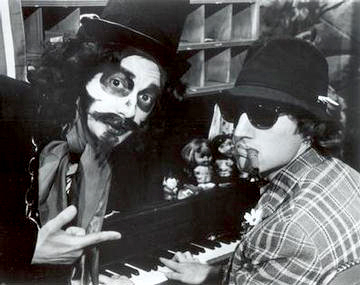 It never occurred to me, as a young viewer, that Koz and Svengoolie were one and the same. (Remember, I was a kid). And although it was late into the Saturday evening, I was so excited that I had trouble sleeping that night. I remember hoping that they were planning on bringing back "Son of Svengoolie". But for some reason, my memory fails to remember if anything came of that appearance. Perhaps it was just a tease to Svengoolie fans. "The Koz Zone" later turned into "Koz Zone for Kids". It was similar to its late night predecessor, but instead of old movies, Koz hosted weekend afternoon cartoons. He also had trivia segments entitled "Have You Ever Wondered?" (Historical information for his show is scarce so the title of this segment may not be totally accurate.) "Have You Ever Wondered?" featured strange oddities that most children ponder. One topic covered in this segment was why we yawn. As the segment ended Koz jokingly asked, "And why are yawns so contagious?" And with a split screen of two different Koz's, one yawns while the other reacts by yawning as well. It's this curious, child-like mind frame that has always carved out his niche. We all have a little dork inside of us that asks curious questions. Koz knew exactly how to tap into that. "The Koz Zone" only lasted four years and was canceled around 1994. By this point, I was a senior in high school and had lost touch with his show. 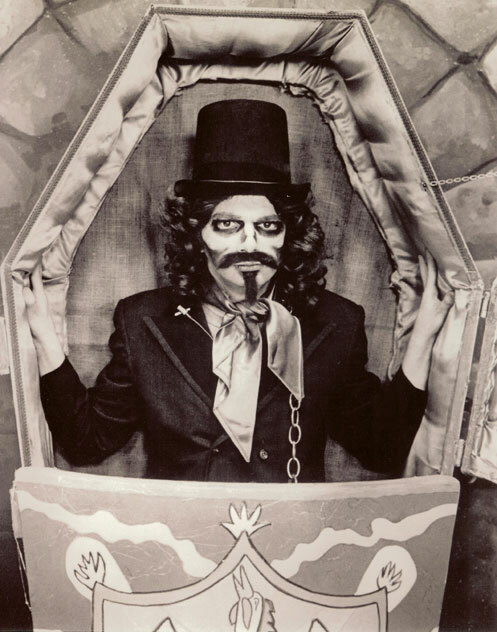 For me, even though Koz had been working on television, the character of Svengoolie had long since disappeared. My college years passed and I was living in Milwaukee when I discovered that Svengoolie had been back on the air on WCIU-TV (Channel 26). This time, however, his mentor, Jerry G. Bishop, had deemed Koz as too old to continue using "son" and granted him the honor of just "Svengoolie". 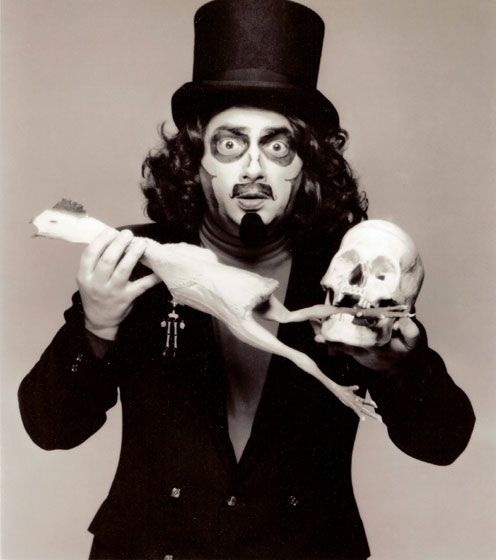 Koz, with Bishop's blessing, took on the new name for his new show entitled "Svengoolie," which began airing in 1995. Unfortunately for me, I only had become aware of it around 2000 or 2001. As soon as I made this discovery, I searched online for the show and was able to contact Mr. Koz via email. I expressed my gratitude for his work and asked if it was possible for him to sign a rubber chicken if I mailed it to him. (This is something he no longer does, more than likely because of the volume of requests.) He not only signed the chicken, but he also sent me an autographed picture. I immediately framed the picture, and have had it in my possession for over ten years. In April 2011, the show became available nationally on the Me-TV network. And, despite a recent heart attack in November 2012, "Svengoolie" has been going strong. The show is much like what I remember as a child: silly jokes, song parodies, rubber chickens, gags about Berwyn (a city in Illinois), trivia, and a small cast of characters including Doug Graves (played by long-time collaborator Doug Scharf), Zallman T. Tombstone, Kerwyn, and Durwood the Dummy. In addition, Koz is a master of the double take. As a child, I learned to imitate his version of the double take, and am proud to say that it had served me well among my childhood friends. Svengoolie may not be a character that is widely known around the world, but you may be surprised by the people who do know him. And those same people, as well as his huge fan base, hold both Rich Koz and Svengoolie in high regard. TRIVIA: Several of the voices throughout the show are provided by Rich Koz, including some of the off camera voices that he has "conversations" with.